Dude, a crafting blogger’s dream come true, right? 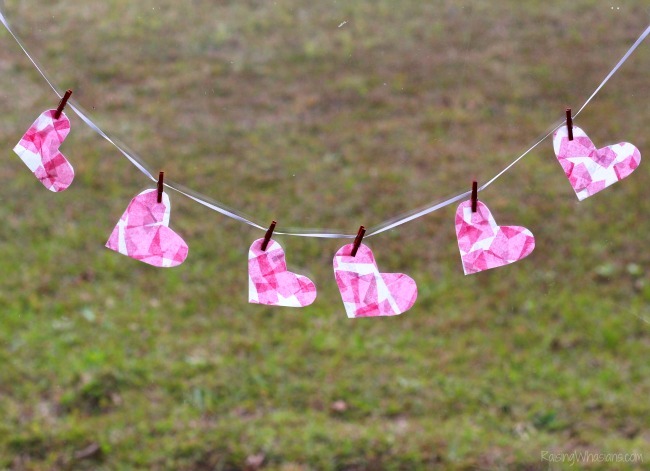 And from this teeny piece of inspiration, this Mosaic Heart Valentine’s Day Banner Kids Craft came to be. A seriously fun way to display your love of the season, this banner hangs perfectly in your window, catching the festive colors in the sunlight. 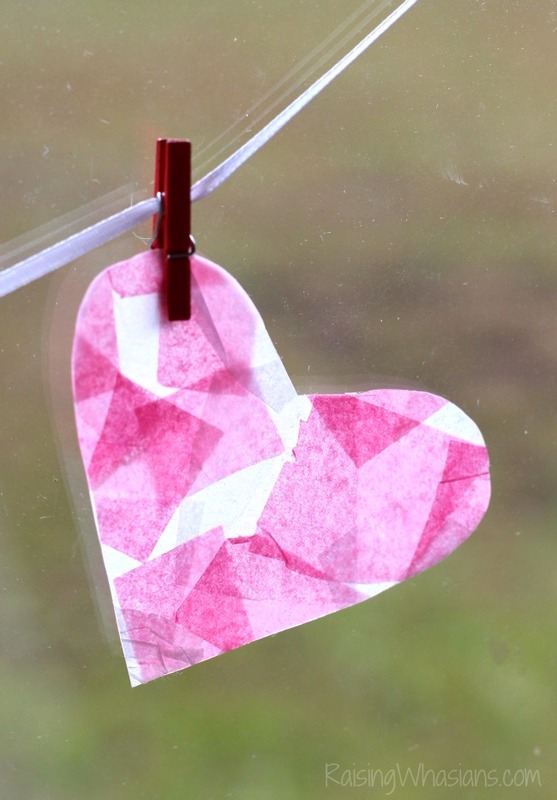 Ready to make this craft with your kids this Valentine’s Day season? Cut 2 pieces of contact paper, the same size. 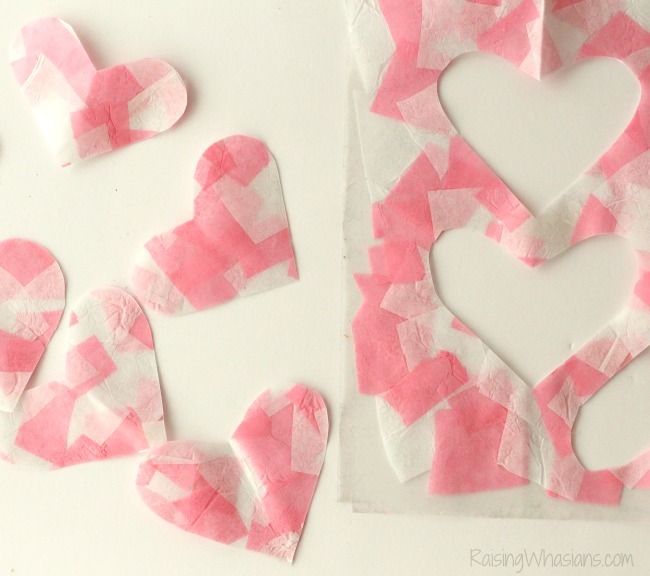 Cut tissue paper into small squares (perfect for little hands). Take backing off one piece of contact paper. Place tissue paper pieces on the sticky side of the contact paper. You bet, this was my toddler’s favorite part of the craft. 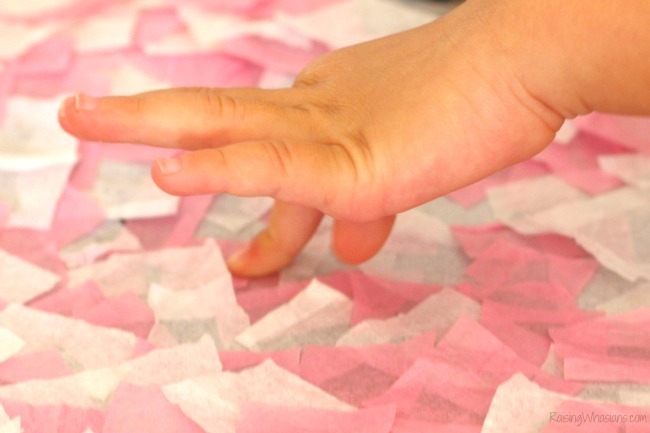 Let them go nuts with the tissue paper, overlapping colors, making sure all of the sticky paper is covered. Once the contact paper is fully covered, take the backing off the 2nd piece of contact paper and seal the tissue paper pieces between the contact paper (like a sandwich). Using scissors (trust me, I tried a heart punch first), cut out hearts out of the contact paper. 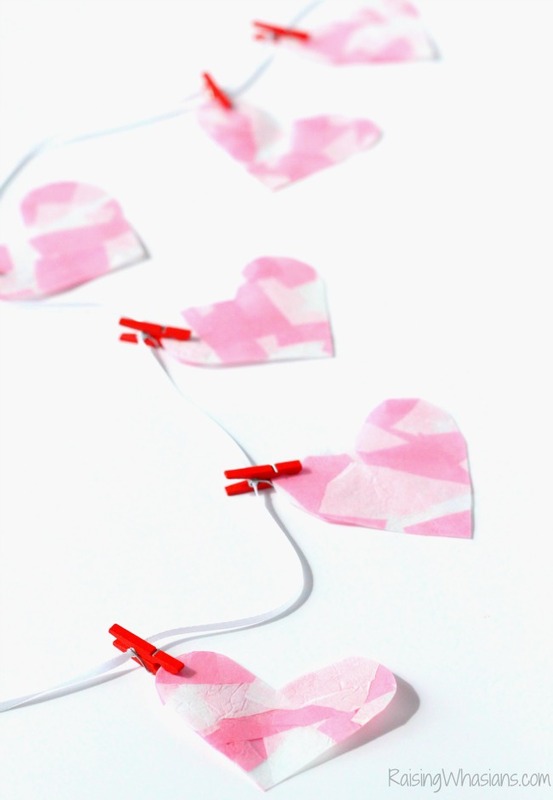 Use the teeny clothes pins to dangle the heart. Then thread the circular metal part of the clothes pin through the ribbon. Hang in the window to get the full effect of the mosaic hearts. What a beautiful way to display some LOVE for Valentine’s Day! 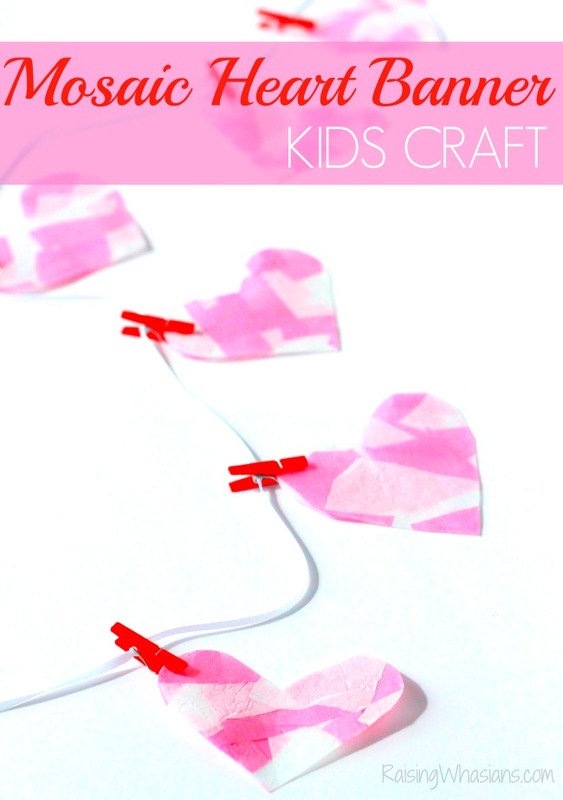 I’m LOVING the sweetness of this adorable Valentine’s Day banner kids craft! How about you? 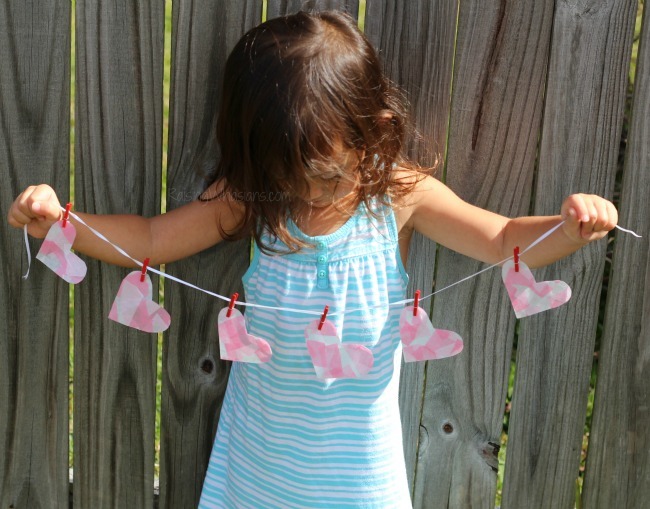 How are you crafting with your kids this Valentine’s Day season? 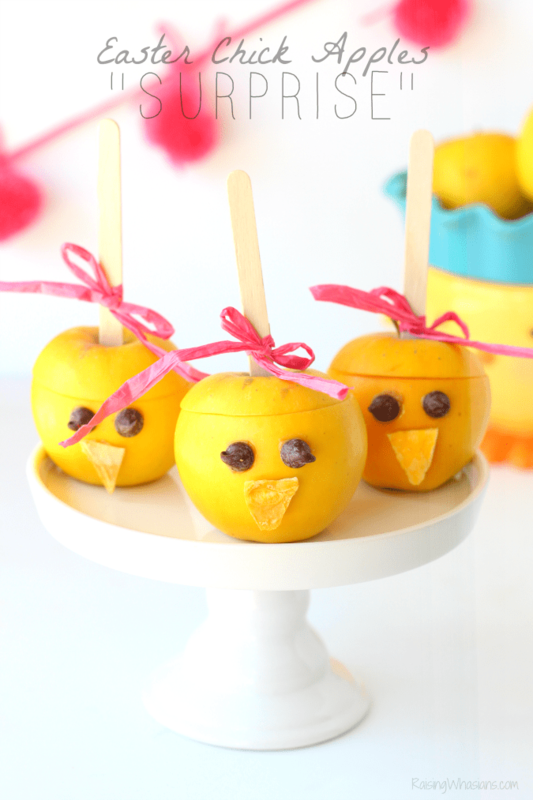 You’re knocking it out of the park with these kids’ crafts! 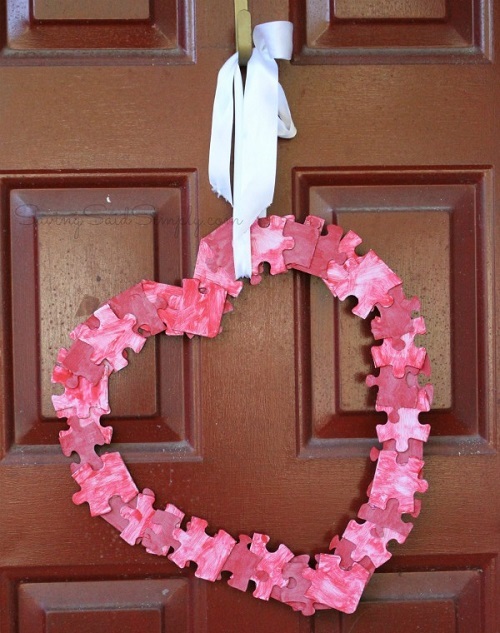 I adore the puzzle heart wreath and can’t wait to try it and this one with my daughter. 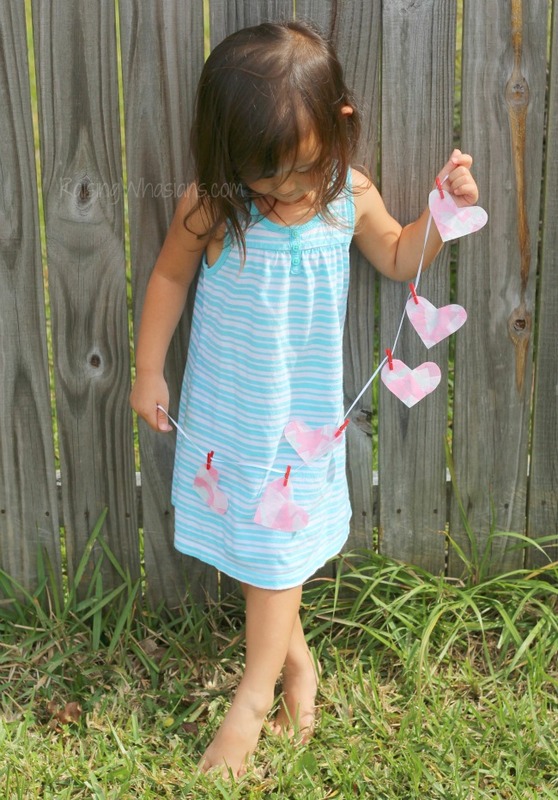 This girl so adorable, great for Valentine’s Day pics and is easy enough for my toddler to participate. Thanks! Gorgeous!! I love how they turned out!! This would even make super cute nursery decor!! I love the puzzle heart. What a neat idea. I just love this DIY craft idea! I’m going to show it to my daughter tomorrow. She’s going to want to get out and buy the stuff we need for it right away! She’s my little crafty child. 🙂 Thanks for the idea and cute pictures!! 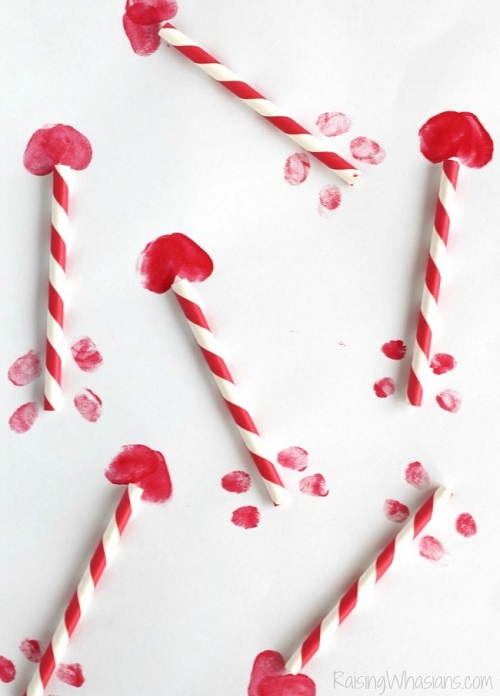 These are unique and fun ideas to do with kids. I would like to do try the heart banner with my grandkids. So many nice ideas here, and none too hard! I especially love the kids banner!! I have to find some of those adorable teeny red clothespins!